25 Dundas Street West, Belleville. 7.1 Acre waterfront development site pending draft plan approval for 302 apartments. Business sale: Menchie's franchise in high traffic shopping plaza. Corner commercial property with 5.5 acres of land. General store and living quarters, near Bon Echo Provincial Park. 220 Dundas Street East, Trenton. Business sale; 3-bay auto repair shop with fantastic high-traffic location. Small commercial corner lot with C2 zoning and a good amount of drive by traffic. 14 Acre corner commercial parcel on the Trans Canada Highway. 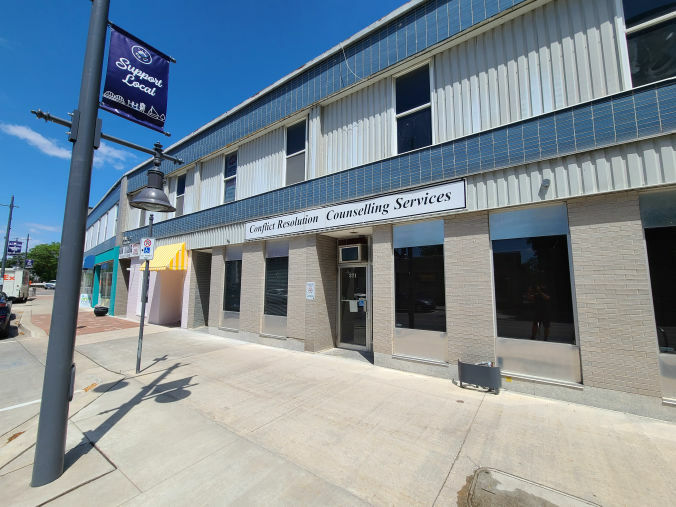 4300 square foot commercial building with busy corner location. 66 Acre waterfront property with potential for residential development. Former municipal office building with 4550 square feet of space for sale. 107 South John Street, Belleville. 4000 square foot industrial building with 3 phase hydro service.